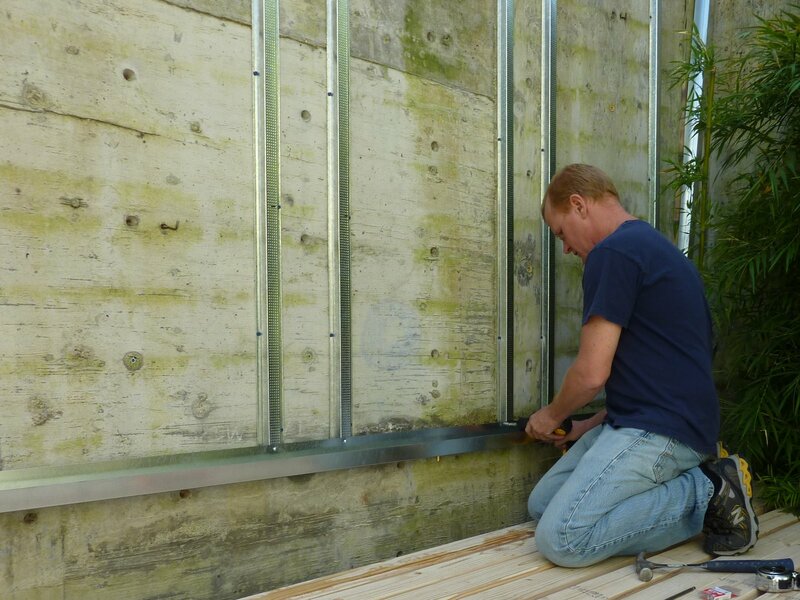 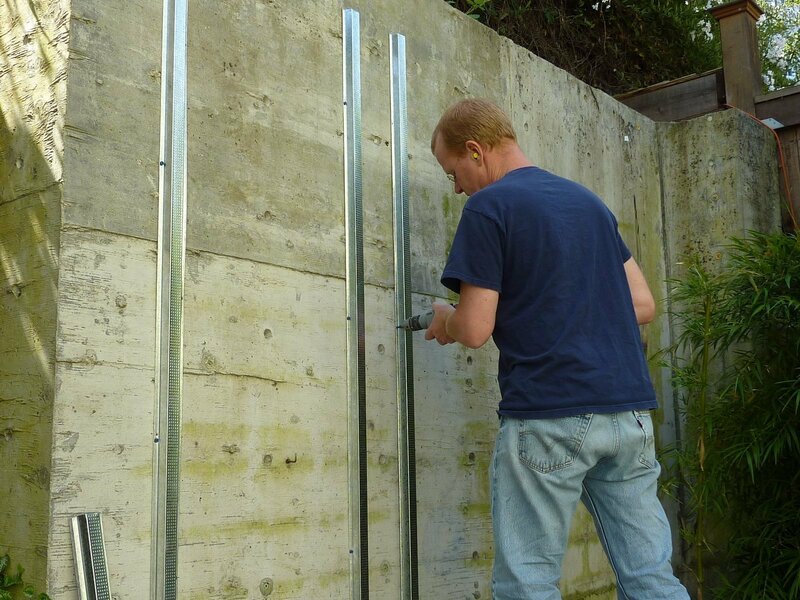 Chris Bribach begins the installation of a large succulent wall installation by first installing vertical ‘hat’ channel to the concrete wall with screw anchors. 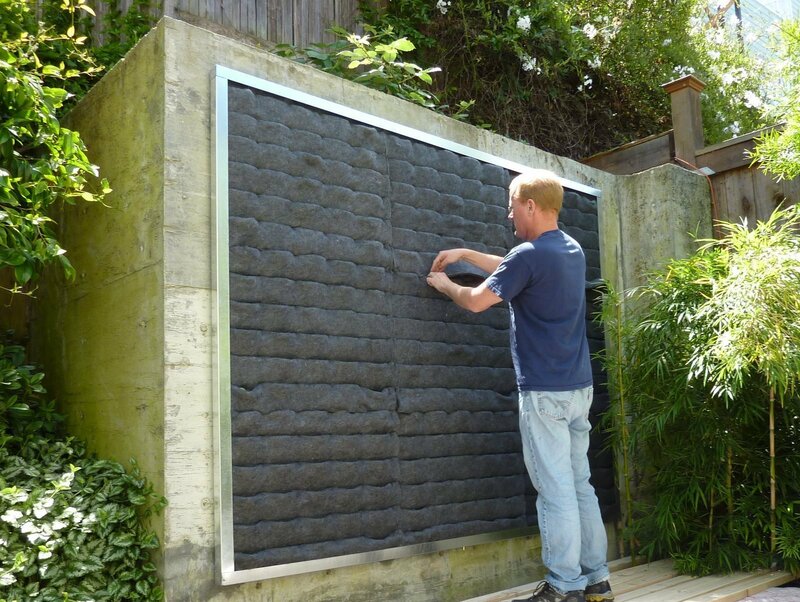 He then attaches the drain tray and begins to add the Mini 30-Pocket Panels and side channels. 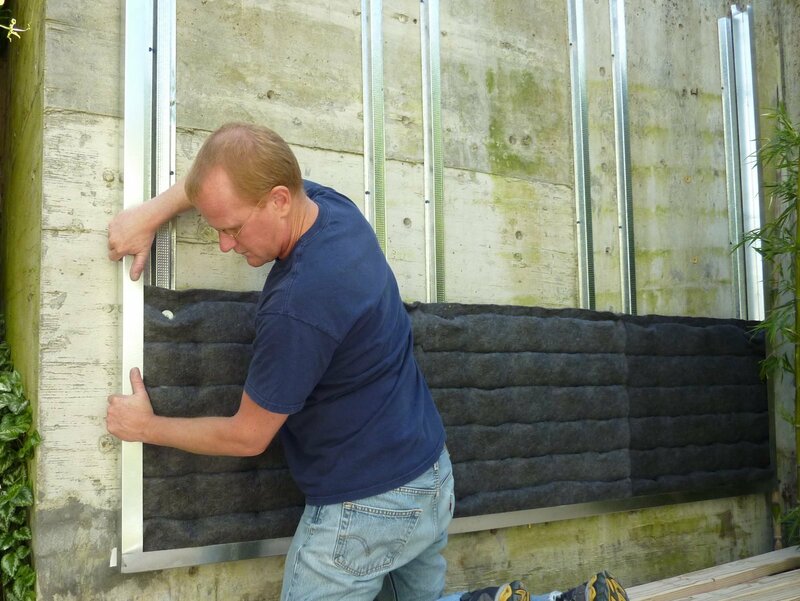 Once all nine panels are screwed in to place the top channel is added and the felt pockets are made ready to receive soil and plants.